Rest the pencil lightly on the paper while keeping the spike in place. Taking care not to push down too hard, trace a circle around the spike. Leave the spike in place and rotate the pencil around it. Draw a base line the desired length of the triangle. Draw the base along the ruler to make sure that it is a straight line of the correct length. Open the compass to the length of the base. Open it until the spike sits at one end of the base line and the pencil tip sits at the other. Keeping the spike in place and without adjusting the compass, draw a circle. Draw another circle with the same diameter from the other endpoint of the base. You will now have two circles that meet in two points. 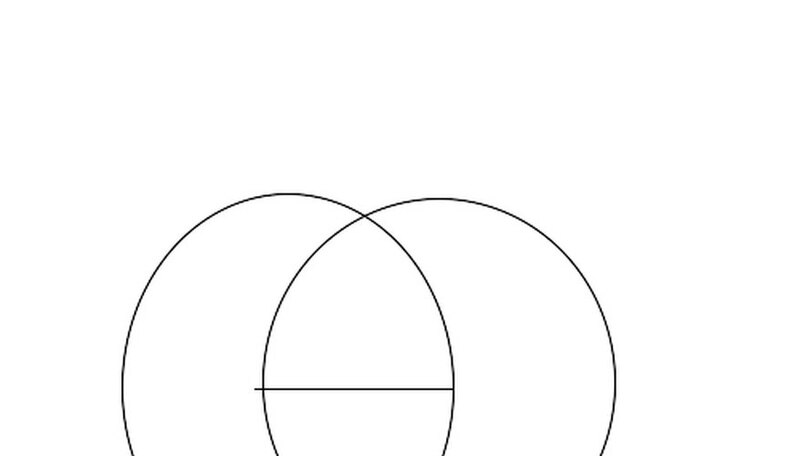 Draw lines from both of the endpoints to the place where the circles meet. Draw a base line. It should be several inches longer than the desired length of the square. 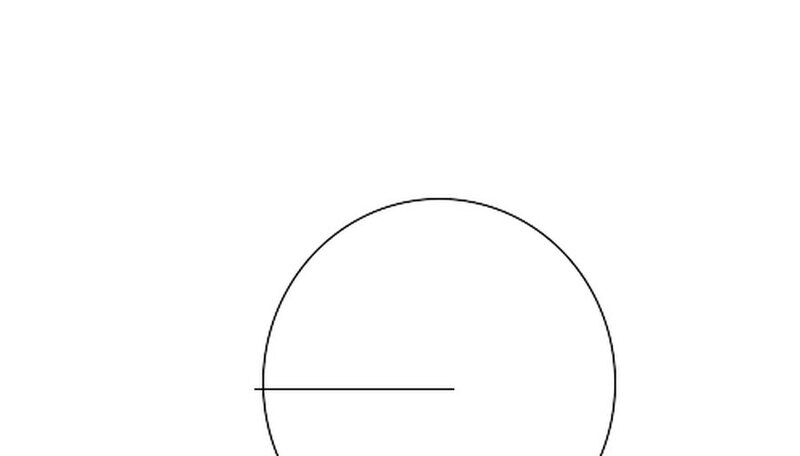 Draw two small circles of the same radius near one edge of the line. Each circle should be on the line, and the radius should be a bit more than half the distance between them. They should meet in two places, as in the illustration. 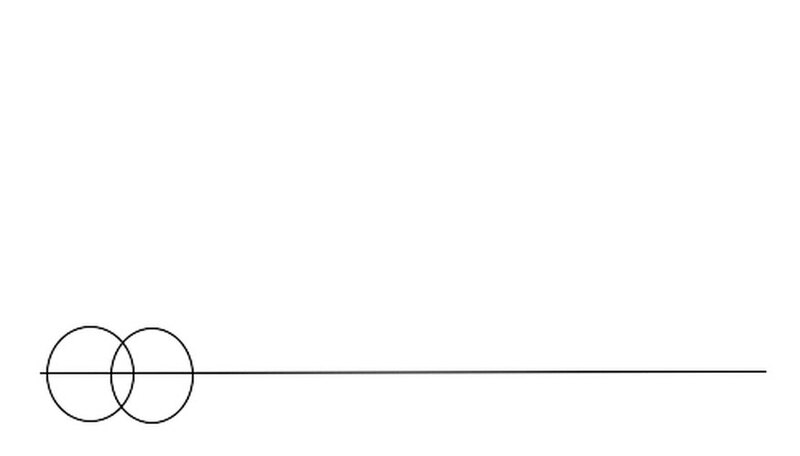 Draw a line connecting the two points and extending above them. This line will be perpendicular to the first line you drew. Decide on the length of your square and open your compass to that length. 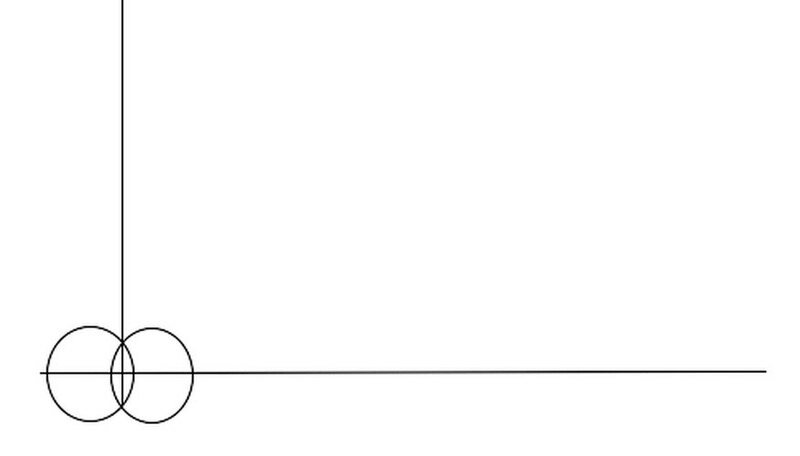 The length should be smaller than the distance from the point where the two lines intersect to the end of the smaller line. Put the spike of your compass at the point where the two lines intersect. 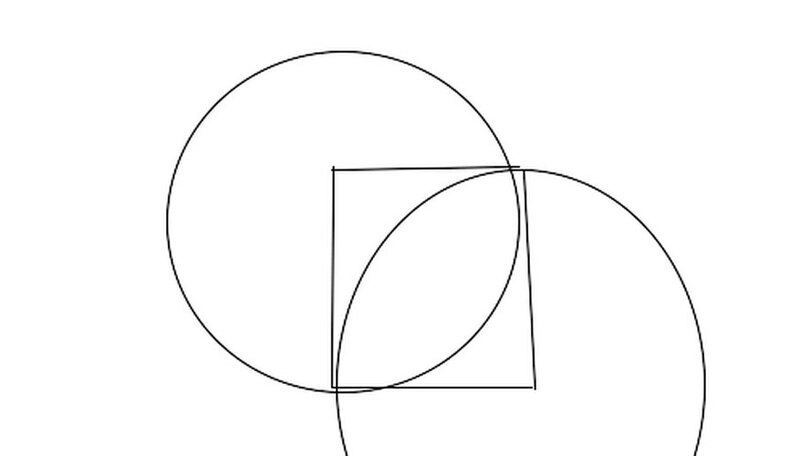 Draw an arc with the compass that intersects the two lines. 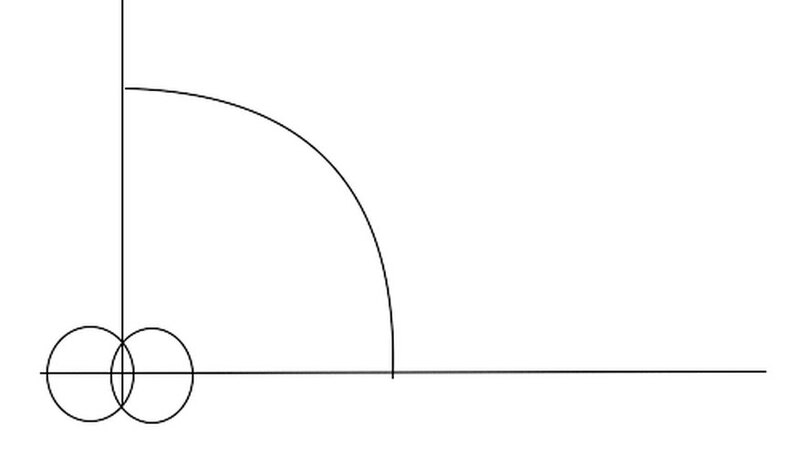 The radius of the arc is equal to the length of one side of the square, and the places where the circle crosses the lines are their endpoints. Put the point of the compass at the end of one of the lines. Repeat steps 7 and 8 from the other endpoint. Connect the ends of the lines to the point where the circles connect. You now have a square. The diameter is twice the length of the radius. Therefore, a circle that is 4 inches in diameter needs to have a radius of 2 inches. The drawings are not to scale. They are simply meant to illustrate the principles, not to provide perfect examples of equilateral triangles and squares. Do not adjust the compass between steps unless you are told to. David, Isaiah. "How to Draw Geometric Shapes." Sciencing, https://sciencing.com/draw-geometric-shapes-2358309.html. 24 April 2017.